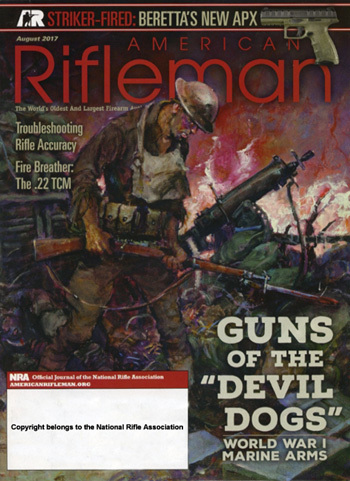 The August issue of the “American Rifleman” features a number of images from the Marine Corps Art Collection. “Guns of the Devil Dogs” discusses the small arms used during WWI and is illustrated using works by Colonel Charles H. Waterhouse, USMCR. "Sincere thanks from NormaJean and I for the outstanding job on photographing our 50th Anniversary celebration last Saturday. Your talents will help us relive this special occasion for years to come. Obvious that you are a highly talented professional with an eye that captures the right moment at the right time. Your proactive nature in moving around the church and ballroom and capturing all major events of the evening was especially appreciated." - Don I. We provide a gallery site dedicated to the museum, and take care of all the details. Orders placed through this site are fulfilled, billed and shipped through Rudinec and Associates. The museum retains all reproduction rights and receives a commission on every sale. Contact us for more information!